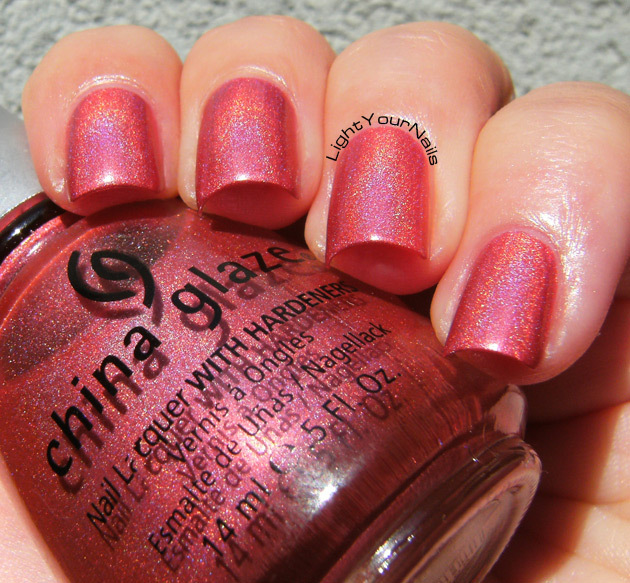 The other side of holos: China Glaze TMI | Light Your Nails! This hologram effect is beautiful, and with two coats: perfect ! Too bad for your leg..
Sta settimana l'ho fatta tutta rosa, ho bisogno di cambiare adesso! Thank you for your comment! Sorry I don't post links. E' decisamente particolare, sia l'effetto che la consistenza dello smalto secondo me! 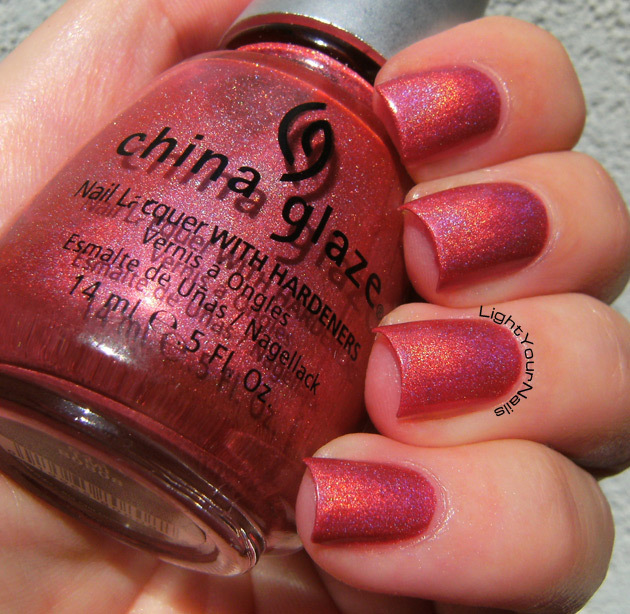 What a gorgeous holo! I wish you health. bellissima la tua ultima foto! Sorry about your leg! The polish is amazing, I like it very much! Questo mi sembra praticamente uguale su voi due! Certo che come olografici della CG questi sono i migliori (ne ho solo uno, putroppo ai tempi non ero ancora nel giro), chissà come mai non hanno voluto replicare. Wooow and it's so old and still so perfect! And it looks perfect on the both of you. Thank you! These old polishes had some chemicals inside that might not bee to healthy but they are perfect after years! Such a beautiful shade on you! I still love these old school holos.. so sad I didn't grab them all when I could! The holo in just gorgeous! !